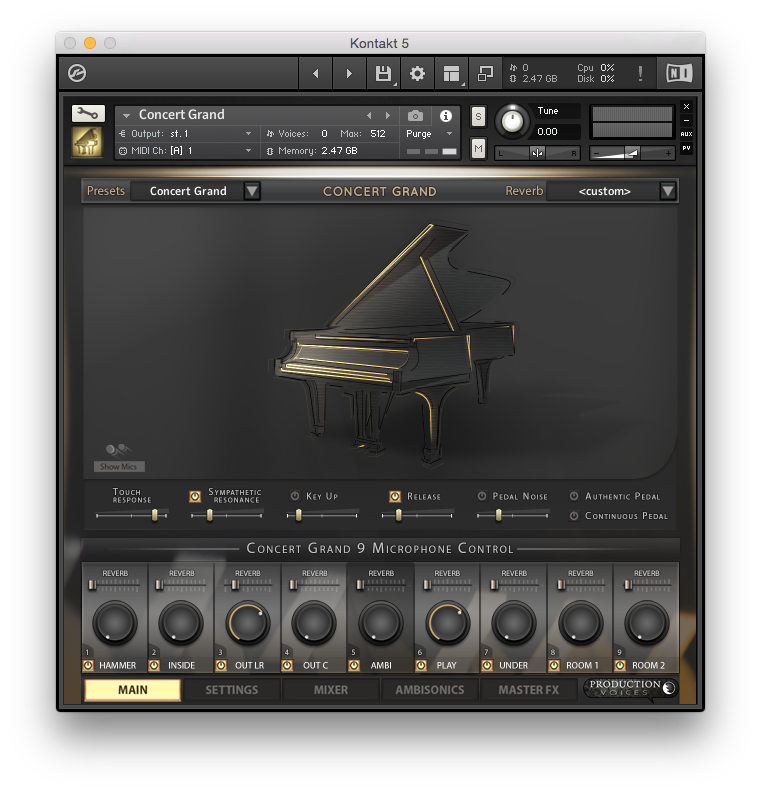 Concert Grand LE is a premium 200 GB, 9 microphone piano sample library sampled from a Steinway D New York 9′ Concert Grand Piano built for the full version of Kontakt 5.7 and above (not for Kontakt Player). 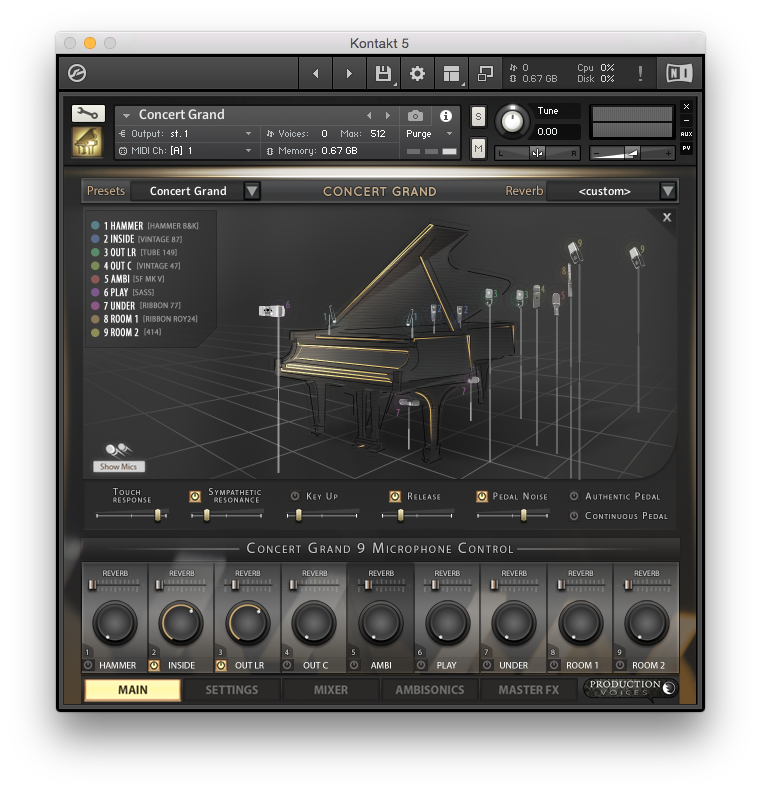 If you listen to iconic classical or jazz piano recordings, chances are that was a Steinway D, the iconic king of the concert stage. For decades, performers have requested the warmth and grandeur of the Steinway sound. 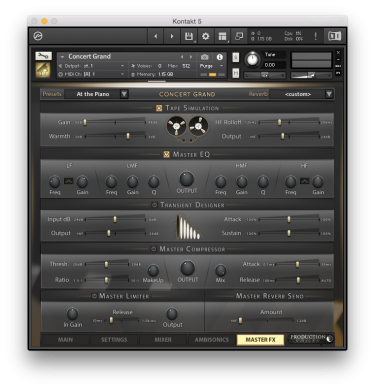 It is in heavy contrast to bright pop production pianos found in many recording studios. It’s elegant and refined. 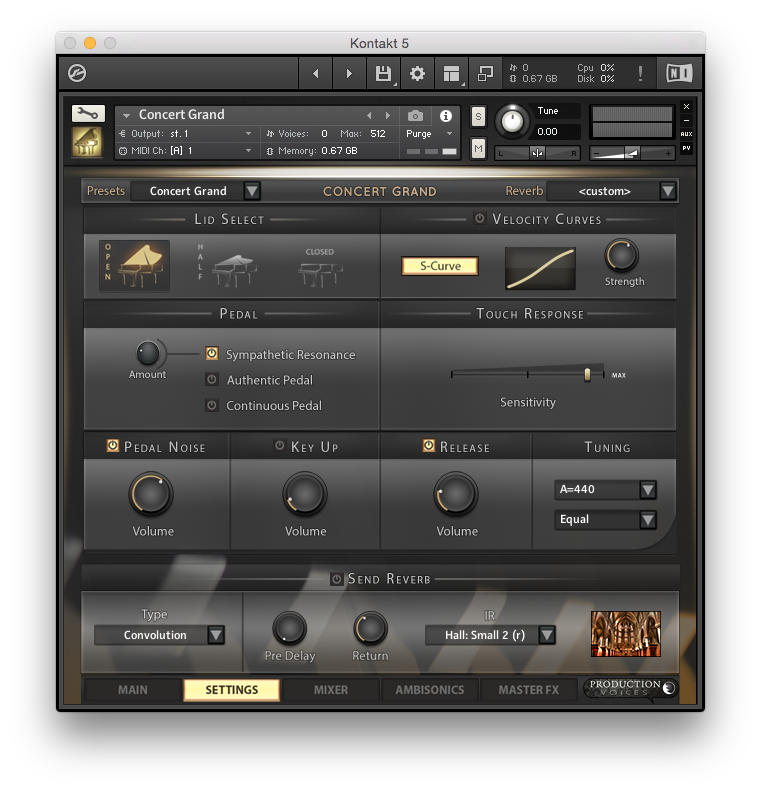 Every engineer has a slightly different way of recording such a large instrument and every player wants to hear a different aspect of the sound. 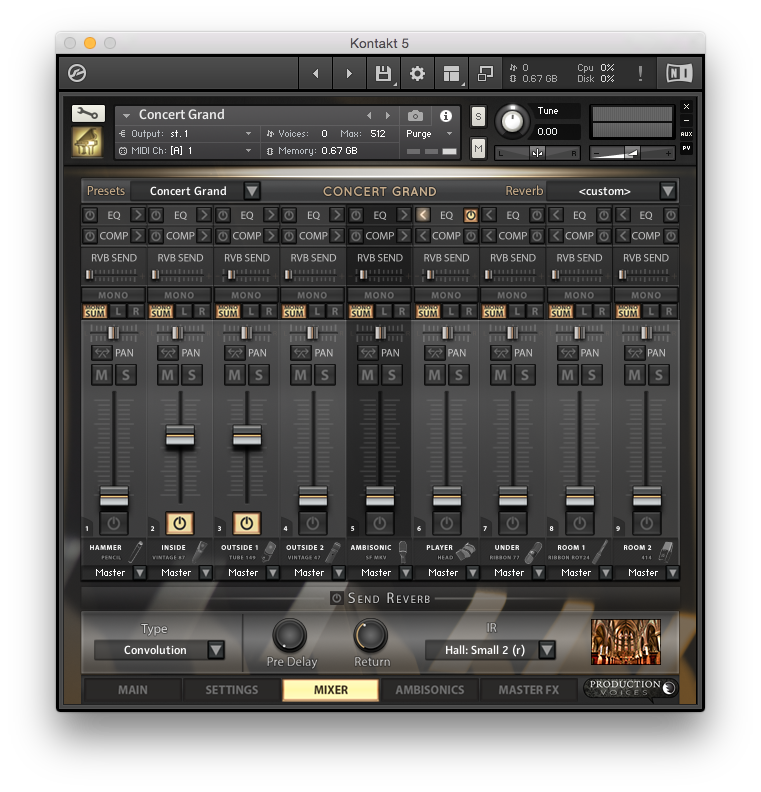 This is why Concert Grand’s 9 microphone control is so important. You can dial in a variety of tones with microphone placements that are time-tested by audio engineers. Concert Grand let’s you take control of your sound unlike any piano library before it. 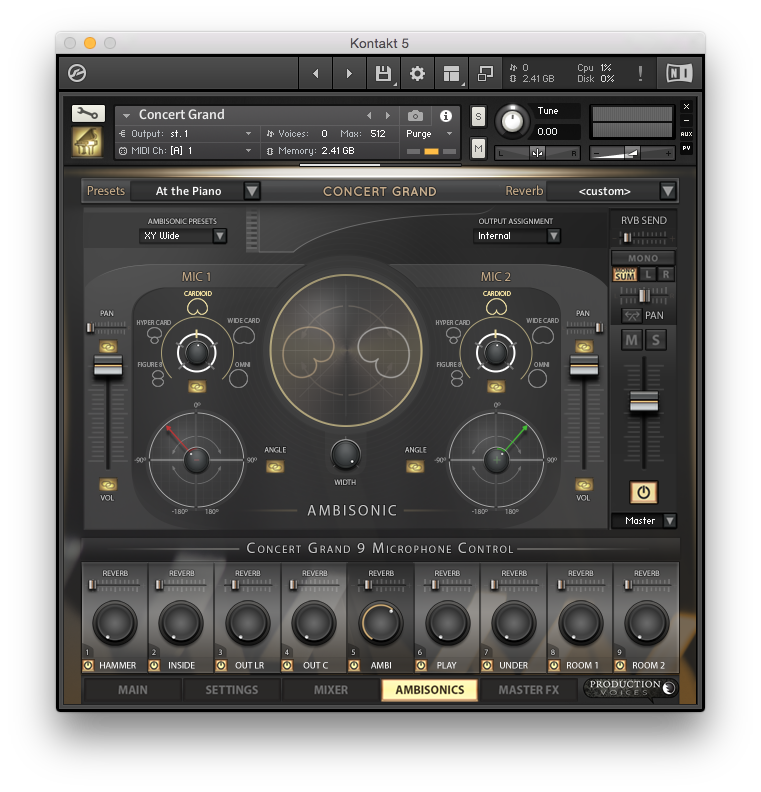 The ambisonics channel is a leap forward in sample library flexibility. Be warned! Concert Grand captures all this Steinway has to offer including its thumps and bumps and louder than most mechanical noises. We didn’t strip away the imperfections, but let them contribute to the authentic piano sound. Concert Grand LE takes the 16 bit 44.1k samples from the larger Concert Grand, our 1.1 TB Steinway D piano library, and makes for a faster loading, amazing sounding virtual instrument piano that is easy to use and inspiring to play! It will take a really long time to download. Serving 77+GB to a customer is resource intensive. 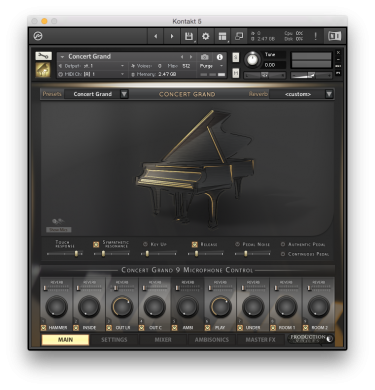 Concert Grand LE is upgradable to Concert Grand Gold or the full version of Concert Grand. 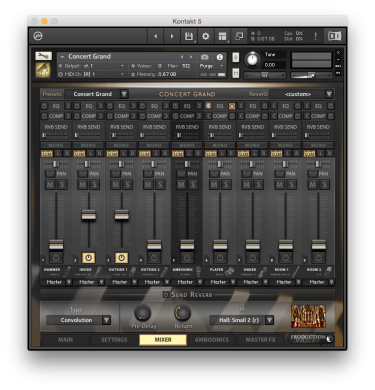 Concert Grand LE owners can email support for details.